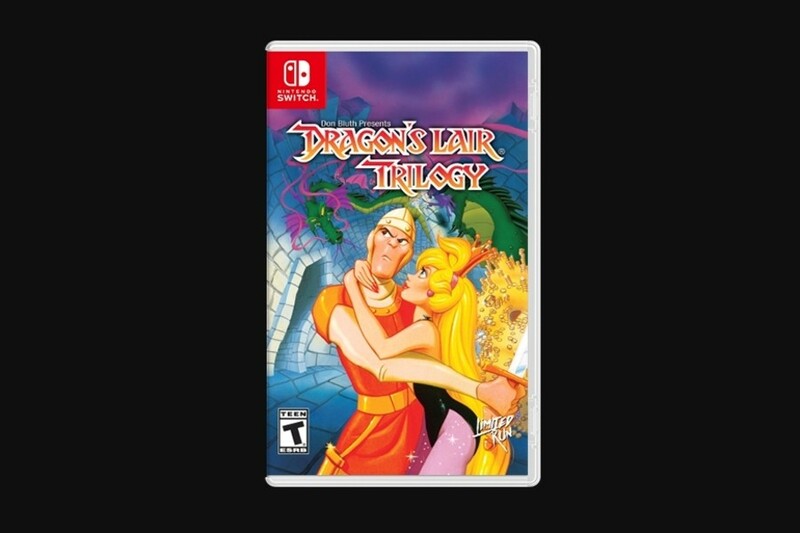 Last week, we found out Dragon's Lair Trilogy would be released on Switch eShop on 17th January after a listing on the European Switch eShop. With the game now available on Nintendo's digital platform, many fans of the classic series are probably wondering when they can get their hands on a physical release. If you haven't played this series before, the trilogy contains Dragon's Lair, Dragon's Lair II: Time Warp and Space Ace - where you take control of Ace instead of Dirk. These games are made up of cinematic-style quick time events with animation from Don Bluth. The first game was released in arcades in 1983, Space Ace came out in 1984 and Dragon's Lair II arrived in 1991. Have you been holding out for a physical release since the Switch trilogy was announced? Tell us in the comments below. Neat! Might pick this up. Never thought that I see the days when these FMV games are made in cartridge form. Dirk the Daring for SMASH! You always say you aren't gonna buy it again....but you always buy it again. Hmm... I had one of these games on Atari Jaguar CD. It was an interesting novelty then, but there's some things I'm not sure I really want coming back. Oh wow, I remember this game acarim the mess out of me as a kid, I was such a wimp. I never played it either. I remember everyone crowded around this at the arcade when I was a kid. It even had a screen on top of the machine so you could see the game as it was played! My ready is body... no, wait! Wow I actually want this one because it is a worthwhile physical release considering how big of a download it is. WILL BUY if it's a physical copy! LOVE those games(love the retro arcade scene)....Excited for this release! I have a specific gripe about this Switch edition. I haven't bought it digitally--ideally, I would buy the physical edition without thinking twice--but I've been watching numerous gameplay videos on YouTube. I don't know if my gripe will make sense, but there seems to be a transparent directional pad with a sword button in the center, at all times. Also, there are a score bar and a lives bar. l From what I've seen, these cannot be toggled off/hidden at all. This is a problem for me. My brother was obsessed with finding a good home version of the first Dragon’s Lair back in the late 80s or early 90s. He bought several and finally decided it would never get a decent release, so he bought the arcade machine. I got very good at it, and could easily beat it on one credit. Haven’t played in forever though. Looking forward to this one. Now just missing Brain Dead 13 and, I know it's not the same developer but I'd love to see a port of Full Throttle! Just good memories from these games. I wonder if this is being done to promote the Dragon's Lair movie Don Bluth has been working on. That movie's still happening right? I've been living under a rock. Anyone but the LRG vultures would have been better. I can't stand that if you have a negative comment or experience, those guys get really upset and attack their customer base. I wish I could cancel my orders that are in place, because I can't support this. Would prefer a UK release. I am probably just gonna pick it up digital. Not interested in dealing with Limit Run's business. Not a fan of deliberately limited releases. I'd prefer they take orders and then make a batch. @nate83km what are you talking about? I have had nothing but good experiences from them. Last time I bought the game was in 1995 on PC. I was holding out for a possible physical edition on Switch and it paid off. Edit: Nvm, just remembered that I bought the GBC version in 2002 out of curiosity. How do you play this game? I'm confused. Sorry I'm a noob. @Gio0207 it’s a game consisting entirely of quick time events I believe. I remember playing this game in the arcade when it came out. Omg I sucked so bad...the quarters I wasted..... It like one big QTE...all about the timing. It's tough but rewarding. And when you die, it takes you right back to the checkpoint very quickly, if my memory is correct. I was going to get this till I saw it was $10 on the PS4. At first, I was offended at the $20. It’s going take one or two commas and more than a few extra zeros to get me to play a laserdisc game. Then I realized that they weren’t offering to pay me to play an FMV game; they were trying to charge me! I politely refused. You watch a cartoon. A glowing arrow pops up on the screen. You point the joystick that direction. An object glows. You point the joystick at that direction. Your sword glows. You press a button. Rinse, repeat. Halfway through, you get to do it all over again, but the video is mirrored. If you’re good at it (aka a masochist) a playthrough is something between 5-10 minutes. There were a whole slew of anime ones, too. Time Gal, Road Avengers, and even one that was 100% recycled footage from Lupin the 3rd: Castle of Cagliostro. To it’s credit, considering Digital Pictures games as it’s progeny, Dragon’s Lair was far better executed than the garbage it spawned. Alas, these are really terrible games. It's a lot more fun to watch someone play them on YouTube than to try to play them yourself. I had this on 3DO and I was absolutely terrible at it. It'll be interesting to try it out again but not for $20. I'd probably give it a shot for $10. @carlos82 I still have my Atari Jaguar, and the CD unit still kind of works. I think there were 15 games released on CD so not quite as bad as you were saying, but yeah, it was bad. They had a first person hover tank game than I still enjoy playing, so it wasn't all doom and gloom. @GhostGarrity The best description I've heard of these games went something like, "It's more fun to watch someone else who's got the game memorized play it than it is playing it yourself." Limited Run Games... No thanks. Got tired of their preorder and collectors edition crap. Man Limited Run and their Switch lineup is just KILLING MY WALLET!! Day 1 for the Trilogy!! 😆😆😆 and the Classics just keep on coming to Switch!!! 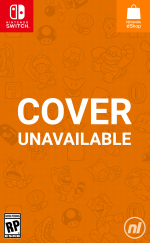 Hopefully it's a real physical release and not a 4KB file on a cart that unlocks the eshop download. But when are we going to have the NES version come to the Switch, though? That was obviously the superior version, after all. @Gerald I had it for years without ever thinking it looked like a toilet. But once I heard it, it's impossible to unsee. Despite that unfortunate similarity, I still think it's a cool looking system... And looks way better than the 32X! See, once you watch gameplay on Youtube, you can never really convince yourself to get them. I dig the graphics- it reminds me a lot of Don Bluth. But what I hear about the gameplay is keeping me away. My childhood! Day 1 for me, no challenge! @nate83km I have to agree with this comment. I made my first order with them, and it's been a disappointing journey. Was misled about when it would ship, then misled about the shipping method and speed. An order I made at the beginning of the month won't be here until next week, maybe. Disappointed and probably won't order through them again. If others had positive LRG experiences, I'm glad for you, but this will be my first and last order through them. I remember this was almost as popular as Mortal Kombat back in the day. I had Dragon's Lair II - Escape From Singe's Castle on the C64 and it was actually more enjoyable than the arcade games. Its somewhat ironic that a lot of the big HD games of last gen were riddled with QTE's. @joey302 it was a pity though that digital leisure canceled the combo who shot johnny rock/crime patrol/drug wars as it was supposed to be released after maddog "trilogy"... Would have loved those as well on Wii. Awesome! I'll wait for the physical release then! @PKBegley I don't think I'd give it that much credit. These games have had re-releases on plenty of systems over the years, including Wii and DS. It's probably the SEGA Genesis situation where they just feel like having an obligitory collection on newer hardware. @PKBegley Supposedly, but I haven't heard much about it either. Didn't care about this trilogy when it got rehashed on the Wii either. @PiXeLSteF had Johnny rock on Sega CD but wow was not aware they were gonna do another trilogy! Maybe the Wii Mad dog one didn’t sell well enough?? For real though. My jaw dropped to the ground in disbelief when I found out about the very existence of QTE. 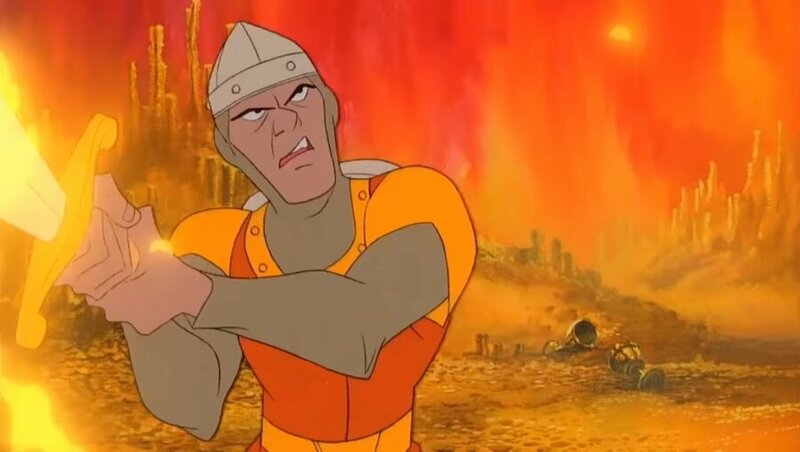 The weird thing is, discounting the much earlier and well accepted Dragon's Lair, when all of those FMV games were being pumped out in the early nineties; they were viciously panned and made fun of by gamers and critics. Nobody but paid press had something nice to say back then. So, how did this new QTE thing ever get past the drawing board? To be specific. A toilet bowl on top of a PC-Engine Shuttle, in the colour scheme of an Italian made pocket knife. I have a sad tale to tell. My friend's father picked up the whole kit in 1995/6. I came over to their house, looking forward to trying out Tempest 2000 and Alien Vs Predator. They did not have those games. They had Vid Grids. His father enthusiastically showed off... Vid Grids. @robr A truly horrifying tale!